If you are interested in Coaching your sons or daughters team, then Wynnum Manly is interested in helping….. The coach is the brains of team, the kids the heart, together they make the Spirit & Soul of the families involved, the Drive of direction and the Orchestrator of ever lasting rewards and memories for the children in the sport of Cricket and beyond. We at Wynnum-Manly, like all junior sporting/community clubs, rely heavily on our parent/carer volunteers to coach and run our teams. The ethos of “No Coach = No Team” is true and current, but we like to think that with the right support and attitude we can create an ethos of “Great Coach = Great Team”, and we at Wynnum-Manly encourage all parents & carers to give strong consideration to becoming a positive influence & memory for the children of not just Wynnum-Manly but of our community as a whole. 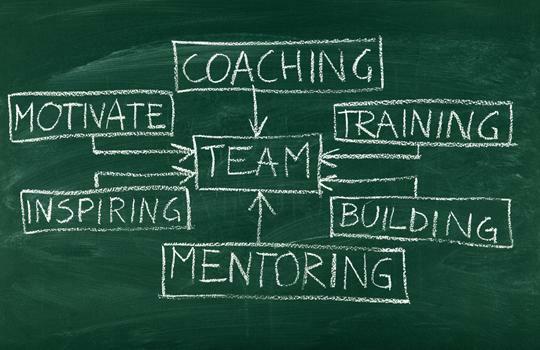 Coaching a team provides fun, laughs, tears, ups, downs, growth, fun, challenges, wins, losses, mateship, reflection, smiles, frowns, success, failures, friends, families, education, fun, bonds, direction, the list goes on and on. In this scribe’s opinion, my most cherished memories and the best part of the weeks, is when I am involved with my child and his friends playing & learning the sport that the enjoy and love. So if your keen to coach and join the fun, or would like to find out more please read on what steps to take. Firstly Contact Club Cricket Manager Ryan Poole 0424932570 Ryan will love to hear from you, and will be able answer all and any questions you may have. BLUE CARD; Wynnum-Manly District Cricket Club Junior committee requires all coaches and managers to obtain a current Blue Card from the Government of Queensland to ensure all children involved in the sport of cricket are safe and protected. Coaching Education Requirements & Pathways; Wynnum Manly are fully aware that a coach needs education and resources to fully capitalise on the growth, enjoyment and skills of our kids and players, so as a club we require that our coaches have or are willing to obtain the Level 1 coaching accreditation from Queensland Cricket. The club will invest the money and resources to those willing to invest their time and enthusiasm. In conjunction with Cricket Australia and Qld Cricket the following steps are available and needed. Level 0 – an online 6 minute course, developed by Cricket Australia, this Level 0 must be obtained to apply for the Level 1 course. This also registers you apart of the Cricket Coaches Australia family and opens you to a variety of resources and communication. Level 1 – a 1 day course help by a Queensland Cricket regional manager. This course ranges from the basic to the more complex training drills and skills. For even the most experienced cricketer, this course is always fun and resourceful. The Level 1 is a requirement to coach at Wynnum-Manly District Cricket Club. Level 2 – As you become more committed to coaching and the club, the committee may see fit to put you through the level 2 course which is a week long course held by Queensland Cricket. This covers more programming training schedules, fixtures, rotations, and more complex and skill orientated drills. Level 3 – The highest level, this is personal journey that only very few make the time to accomplish, used for professional coaches and clinics. Coaching Resources; As the coach you can select the night, time and locations of trainings for your team to whichever suits your and your teams needs, there is a variety of grounds and ovals at our disposal for use, please contact Rob Waters again for a list of availability. The coach also needs as many tools as he thinks he needs, so here is a list of links, forms and educational that you may find helpful along your journey of cricket coaching, and please remember that there are a number of experienced coaches at the club who are more than willing to help out if needed either at trainings or as a ear to listen to your thoughts or concerns, your never alone at Wynnum Manly. The Players Page – this has a number of videos that can be used in your trainings.